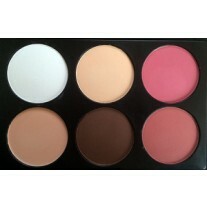 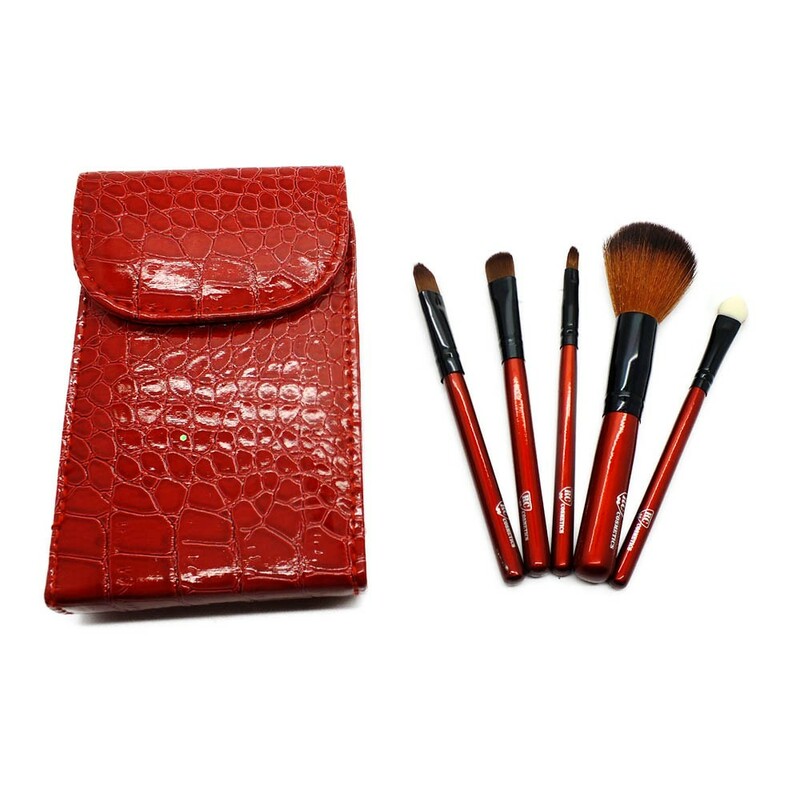 A set of five professional synthetic brushes that facilitate easy and even makeup application every time and any time. 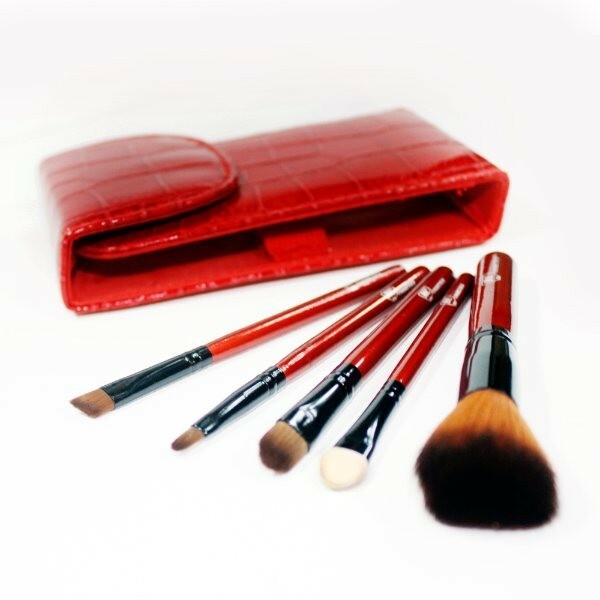 A travel set of the most essential makeup brushes required to create any finish. 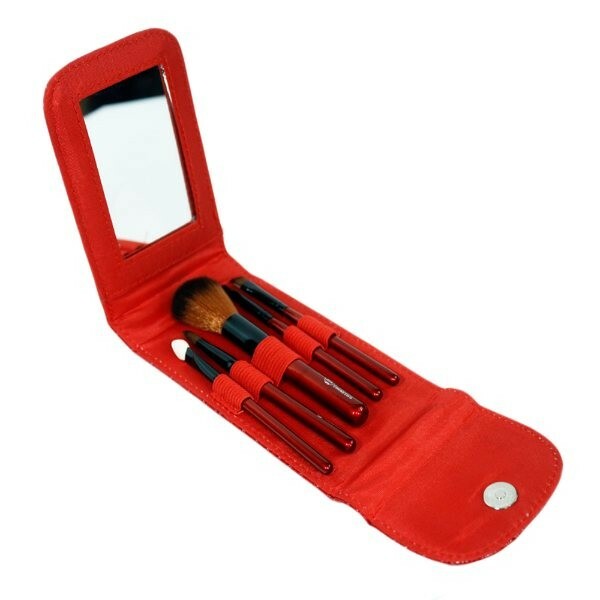 You can achieve any look fast and easily with these synthetic makeup brushes stored in a cute red case with mirror. 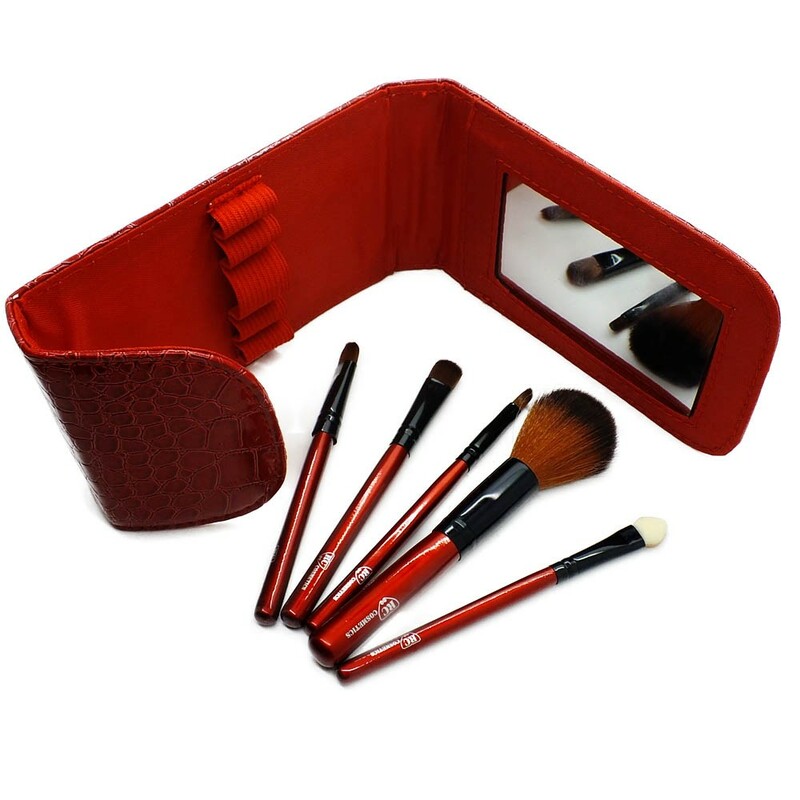 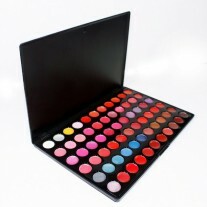 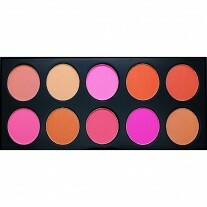 This set has been designed especially for on-the-go makeup application and touch-ups.